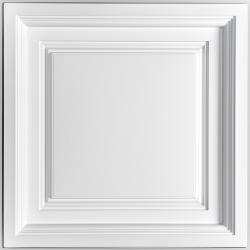 Ceiling Tiles and Ceiling Panels for Every Installation! Easy to clean (waterproof! ), Class A rated for fire safety, Greenguard Gold Certified for Indoor Air Quality, dust-free, mildew free, mold free, recyclable... We could seriously go on and on. You need drop ceiling tiles if you will be "dropping" your tiles into a suspended T-bar grid. 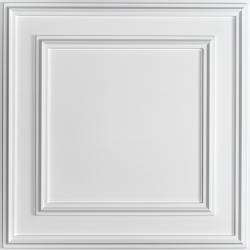 You need glue-up ceiling tiles if you will be mounting your tiles to a ceiling surface using adhesive. Check out the customer photo gallery for installation photos and testimonials. 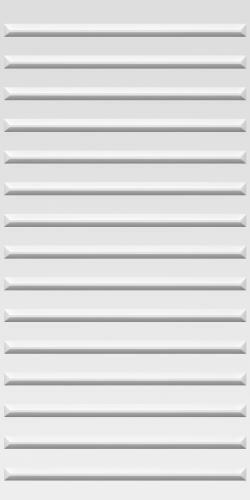 We offer over 40 styles, we love them all, and there is one that is right for every installation. That being said, year in and year out, the four styles below are our most popular, so we figured we'd show them to you first! 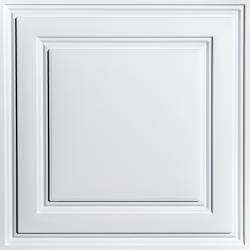 These tiles are surprisingly easy to install - especially if your only experience with 2 ft. x 4 ft. ceiling panels has been with the mineral fiber variety. Below you'll find some of our customers' favorites! 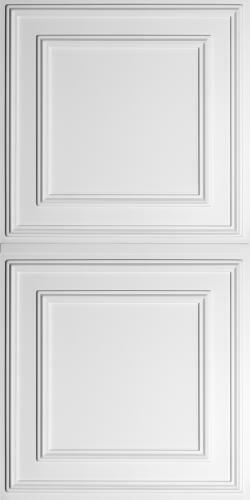 Here at Ceilume, we've got ceiling panels on the brain. We can't go into a building of any kind without saying "Hello" (we're nothing if not polite) and then looking up. The things we see are amazing - both good and... well... beyond bad! 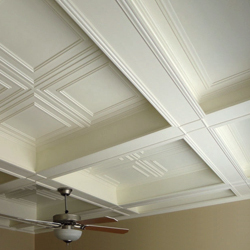 Throughout history, the ceiling has been everything from an inspiring design element to an afterthought. It has been home to some of the world's greatest works of art and architecture, but, more frequently, to plain sheetrock and clusters of cobwebs. Have you looked up lately? If so, you are much more likely to encounter the latter than the former, and you don't need a ladder to see either (sorry, I couldn't resist!). 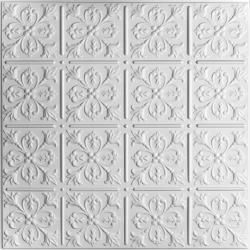 The late 1800's and early 1900's saw widespread use of decorative stamped metal ceiling tiles - a great alternative to the fancy plasterwork of the day (which was expensive and tended to fall on people). As a result, ceilings for the common folk came into their own, and they were really something to see. 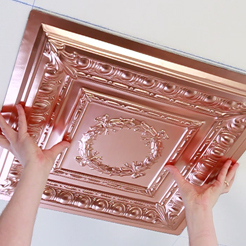 Many such ornate metal ceilings still exist in buildings of a certain age, so be sure to keep an eye out for them. A slight rabbit trail: the town of Silverton, Colorado is absolutely full of historic metal ceiling tiles. Taking the narrow gauge railroad there and back from Durango is also a blast, and highly recommended. 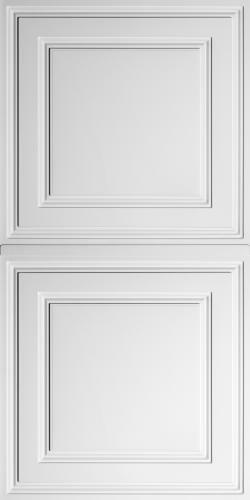 Unfortunately, for the second half of the last century, designers and builders mostly turned their attention away from ceilings, and a long "blah" period ensued. The ceiling had become a mere footnote to the design process; a place to hang lighting and collect dust. 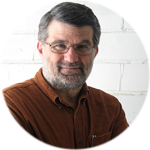 Beginning in the 1950's, there was a significant rise in the use of suspended ceiling panels, both in commercial spaces and homes (see "blah" period, above), and it was actually this long dearth of design that precipitated today's ceiling renaissance. As new people occupied these spaces, they were greeted with old, stained and broken tiles that need replacing, or with plain lay-in ceilings that were just plain ugly. With the dawn of the new century came a new awareness of that previously overlooked space overhead, and a renewed appreciation for the possibilities to be explored there. 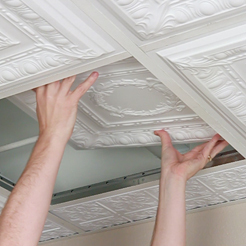 No longer content with plain mineral fiber ceiling panels or flat drywall, designers, architects, businesses, and homeowners demanded something more and those of us in the ceiling industry responded. 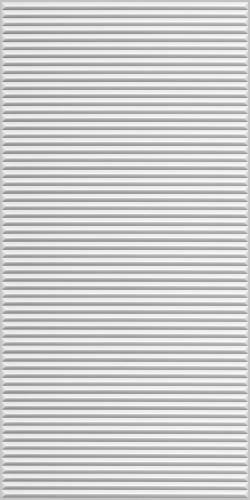 An extraordinary number of ceiling choices are now available: stamped metal tiles (commonly called "tin", though they were never actually made of tin), glue up plastic tiles, and vinyl drop ceiling panels in beautiful finishes and colors. 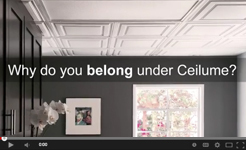 There truly is a ceiling treatment to fit every taste, every space, and every budget, and that's a good thing. All of us deserve to spend our lives under ceilings we can look up to, and now we can!